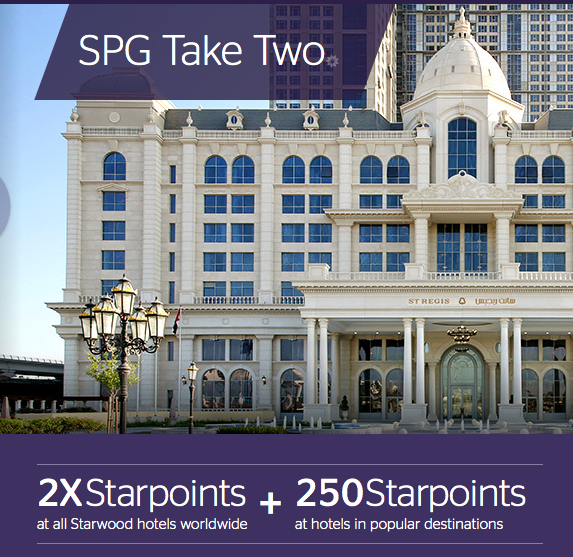 Starwood has released the details of their first systemwide promotion for 2016. Called Take Two the promotion is very similar to the last few promotions, Double Starpoints on stays of 2 or more nights at Starwood Hotels Worldwide. The good news is that all hotels are participating and we don’t have a big list of locations that chose to opt out. On top of the double Starpoints, select locations around the world will also offer 250 bonus Starpoints per night. These locations are in the U.S., and 13 other countries around the globe.